The only tavern built by the Pabst Theater's architect has been a Brady Street mainstay since the 1890s. Regano’s Roman Coin. Photo by Nastassia Putz. 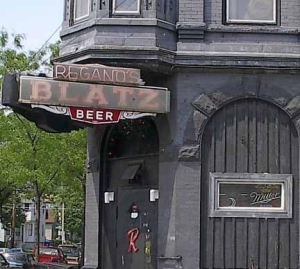 Upon entering Regano’s Roman Coin (1004 East Brady Street), it is not hard to imagine that Frederick Pabst, beer in hand, may have once strolled through the bar or bowled within these very walls. 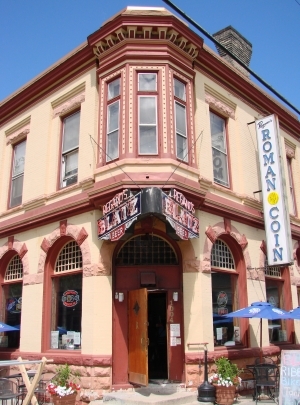 For 46 years, the place has remained a neighborhood corner bar and staple of the Brady Street community. The building itself dates back to the 1890’s when it was known as the Pabst Saloon, built by Otto Strack, the lead architect of the Pabst Theater. This 125-year-old building, once a very ornate structure, has truly stood the test of time. It’s a Milwaukee landmark, the only remaining Strack structure of its kind in the area. 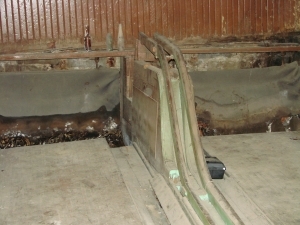 And though its aesthetics have changed tremendously, there is still a trap door entrance leading down to an ancient two-lane bowling alley in the basement, probably one of the oldest in the state. 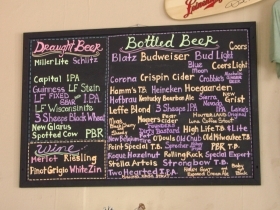 The bar has had several owners and monikers since its heyday as a Pabst bar. But on December 15, 1966, it officially became part of the Regano legacy. Owners Joe Regano and Peggy Regano started the business that today is under the ownership of their daughter, Teri Regano. Her memory also recalls the Roman statues, heads and helmets that were originally dispersed throughout the place by her mother. Teri chuckles about them. The family is Sicilian, she notes, so it was natural to use an Italian theme. Windows closed up. Phot courtesy of Regano’s Roman Coin. Regano for years had an ongoing dialogue with her father about opening up the windows but he never would. So after taking over the reins in 2002, she received her father’s blessings prior to his death and updated the interior. “It took on a life of its own,” Regano recalls. “It modernized the place but kept the same feel.” She painted warmer colors and opened up every window. The bottom bar went from a horseshoe shape to a regular horizontal line and the wood floors were restored. She removed the carpeting and wood panels on the side of the walls, which revealed the original woodwork. With the alterations to the building, she noticed an increase in the younger clientele. This helped transform the tavern’s clientele to a more mix. When her father ran it, it was mostly factory and trade workers from the area. 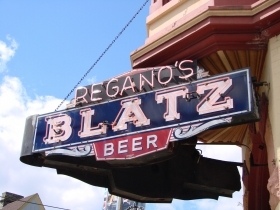 In 1988, when the neighborhood was depressed with its empty storefronts and rising crime rate, the Reganos and other business owners along with residents, founded the Brady Street Area Association. This got the neighborhood back on track and turned the street into a popular business district. With block watches and the Brady Street Business Improvement District also started, streets were repaved, lights put up and other changes occurred. All good things, however in the 1990’s, “when the neighborhood really took off and property values went sky high, it pushed out a lot of families,” Regano notes. She has spent the majority of her life taking care of her family’s business with the intent keeping it a neighborhood corner bar, so when families in the area began to disappear, it was a sad thing, “the downside of gentrification,” Regano calls it. Frank Alioto, a battalion chief and late firefighter of 30 years, lives within walking distance of the Roman Coin and goes at least twice a week. He has known Regano for 20 years and strongly admires her dedication to the neighborhood. 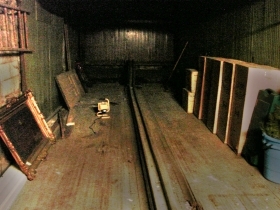 Bowling lanes in the basement. Photo by Nastassia Putz. Bar manager Scott Hicks hopes to be a part of a future historical restoration project to do this. 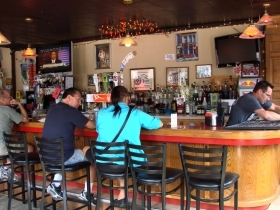 But first and foremost, “it will always be the neighborhood corner bar,” he notes. For the last 18 months, Hicks and Regano have been working towards a partnership and if all goes well, he plans to do a lot of historical preservation by the bar’s 50th anniversary in 2016. Roman Coin historical pic from 1890’s. 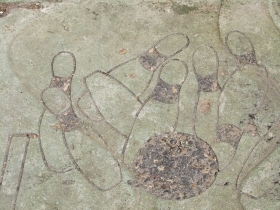 Photo courtesy of Regano’s Roman Coin. He plans to make changes to the interior and exterior to restore the building back to its original glory. 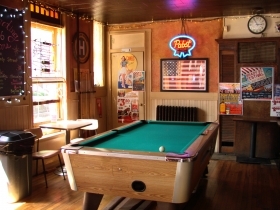 “You have to maintain exactly what it was, the Pabst Saloon,” says Hicks. His dream begins with the second entrance—once on the side of the building and going down to the bowling lanes—being put back in. The lanes must be fixed up, the dumbwaiter put back into use and the metal work made and added back to the roof. Also, restoring the original ceiling, adding the tower and beer garden that once existed, and then for fun, maybe even adding a bed and breakfast upstairs. My favorite tavern on Brady Street! Nothing better than playing the jukebox on a sunny day at the Coin! Would love to see the bowling alley restored! That would be fantastic to see the coin restored. I love preservation. Let’s get those bowling lanes cleaned up and ready for league play!